The only custom tender in the world!! !If you are a yacht owner, you also want a unique tender that nobody else owns. Chapman Transition 22 is truly one of kind tender that you will not find easily in the market.No more struggling during on-boardor docking!! !Unique heavy-duty hydraulic bow ramp will provide easy access to your yacht and dock or even beach. You can also use it for swim or diving platform on open water.Carry more than 10 people at once!! !You don't need multiple trips to carry your guests. Chapman Transition 22 can carry more than 10 people at once with ample and comfortable seating area.Yacht class Style and Quality!! !No mass production! This boat was 100% custom hand built for each order and request. You will find luxury style and high end quality throughout the boat. The builder spent a lot of time and effort to build the only tender in the world. United Yacht Sales New Jersey would love to guide you through a personal showing of this 22' Custom Chapman Transition 22 2018. 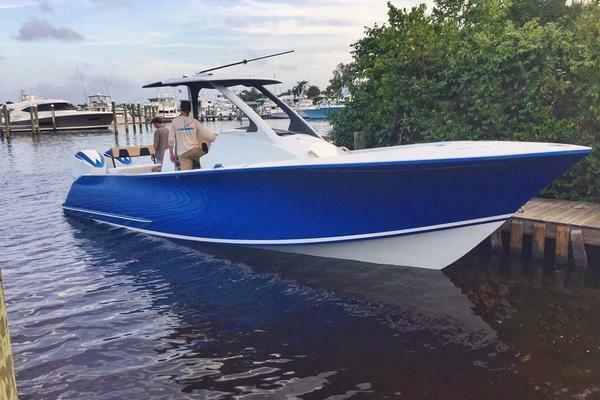 This yacht for sale is located in Ft. Lauderdale United States and priced at $137,000. For a showing please contact us by filling out the form on this page and we will get back to you shortly!